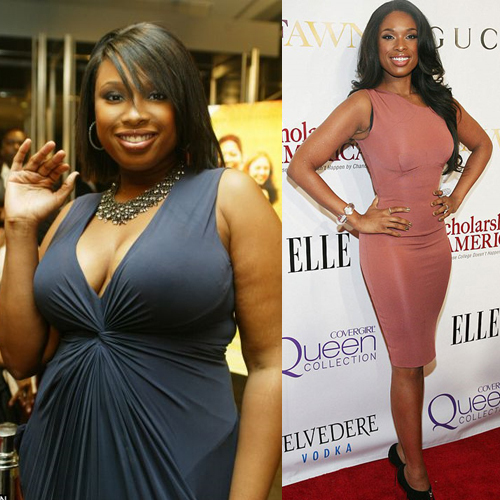 American Idol star and well-known Weight Watchers spokesperson, Jennifer Hudson, has lost more than 80 lbs. in the last few years. Her new slender figure is a vast change from the one we knew back in her Idoldays. 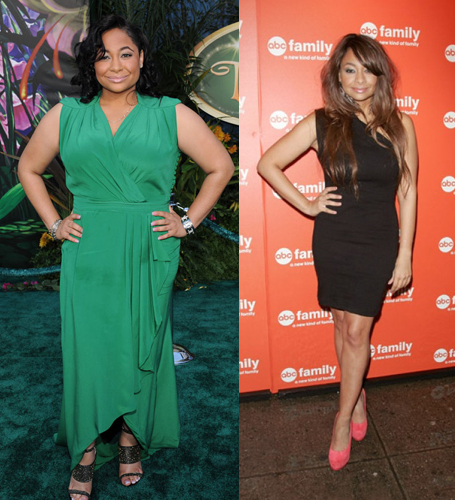 Having lost nearly 70 lbs., Raven-Symone, the little girl who came into the spotlight as Olivia on The Cosby Show, is now slimmer than ever and looks amazing! She’s opened up to various magazines about weight struggles in the past, but nowadays she’s looking fly. After losing 50 lbs., Kelly Osbourne has regained her confidence and now makes red carpet appearances that are nothing short of beautiful. Kelly and her brother Jack have both lost weight in recent years, and their shared weight loss goals may have made the journey a bit easier. 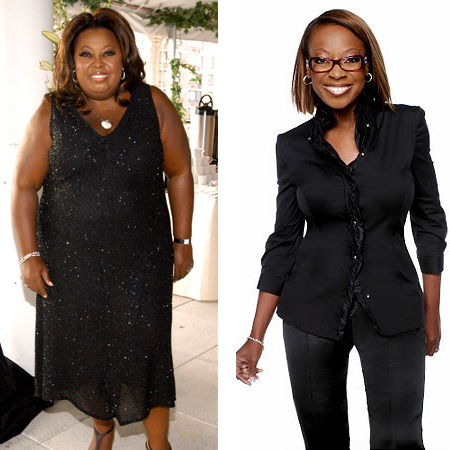 Star Jones determined that the best method for her to lose weight was to undergo gastric bypass surgery. She admitted the truth about her weight loss, but got a lot of heat for originally lying about her choice. 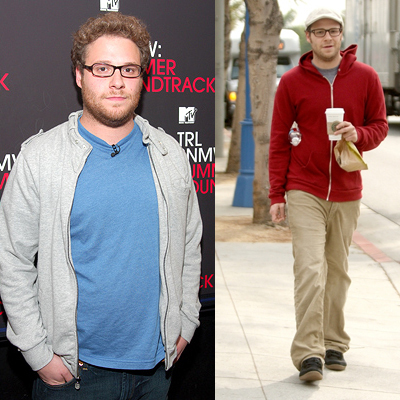 Comedian and writer Seth Rogen has always been a bit chunky. 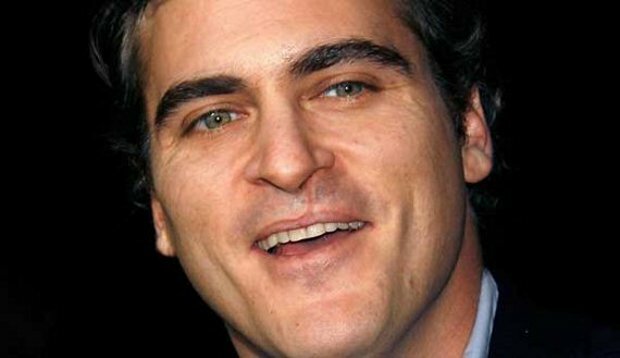 In 2009 he lost 30 lbs. for his role in The Green Hornet, and immediately got rid of his fat clothes. Semi-regretting his actions, Seth says that he’s having a hard time keeping the pounds off. 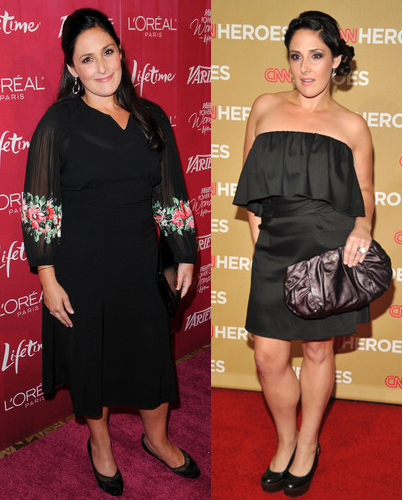 Throughout an abuse-ridden childhood, a failed marriage, pregnancies, and unhealthy relationships, weight has always been an issue for Ricki Lake. However, after her appearance on Dancing with the Stars, she made weight loss a very serious goal, having lost 8.5 inches on the first night of the show. 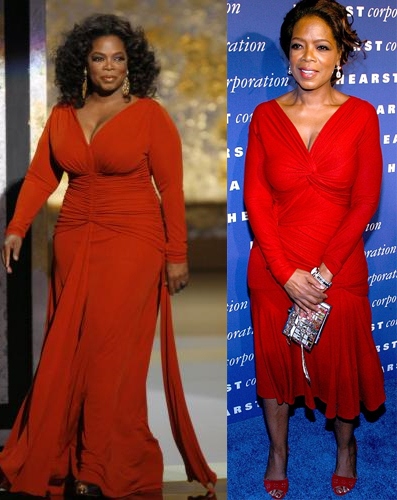 Standing as the ultimate rags to riches story, Oprah has experienced a lot of loss in her life, including weight loss! Though her weight is a number that seems to fluctuate, she has admitted throughout the years to dropping pounds through diet and exercise. Snooki was always one of the thicker girls on the cast of Jersey Shoreand even though she’s pregnant with her first son. Before her pregnancy, Snooki slimmed down to a tiny 98 lbs., which seemed perfect on her 4’9″ frame. So much for being a meatball! Despite critics, Kelly Clarkson isn’t a celebrity that we’d call fat. Thick is more so the word. 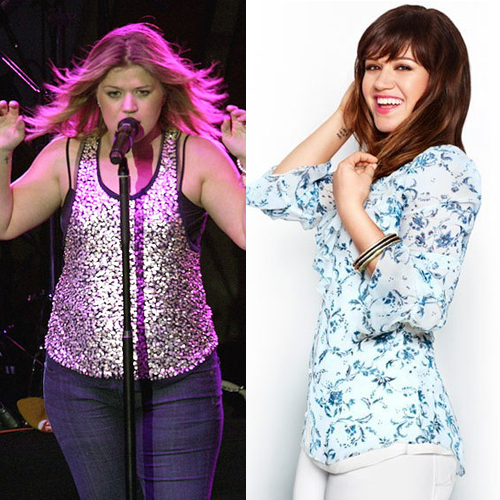 In any case, since her debut on American Idoland releasing numerous albums, Kelly has lost 30 lbs., due to lots of cardio. Even though Jordin Sparks came onto the scene as a heavier girl during her debut on American Idol, she claims she lost weight only to live a healthier and more active life. After losing 50 lbs., Sparks truly sparkles. Kirstie Alley claims to have lost over 100 lbs. through her program Organic Liason, which has become the first USDA-certified weight loss product. Best known for her ability to reach those high-pitched notes that few singers can hit, Mariah Carey has been up and down the scales. After her recently pregnancy with twins, she has slimmed down, losing baby weight and some. 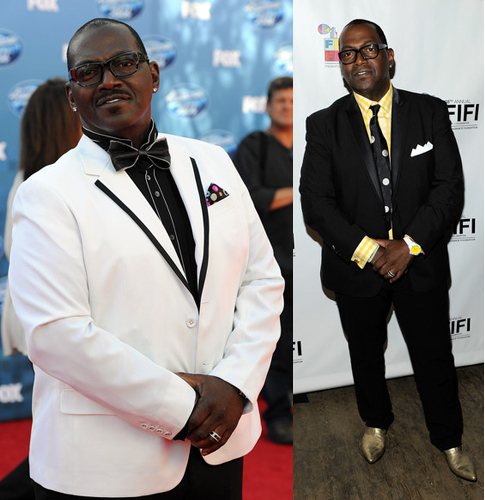 Producer Randy Jackson has always been on the heavier side, especially during the early years of American Idol. 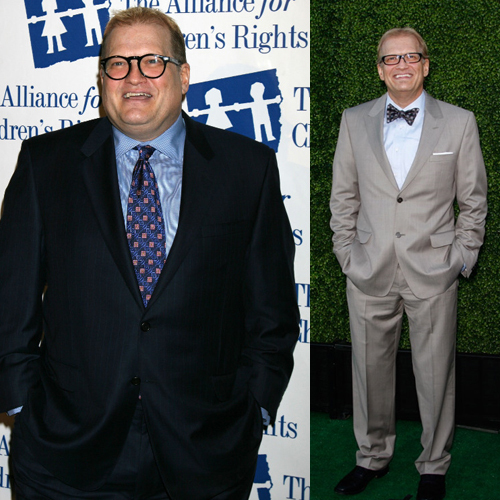 However, after several health scares, Randy underwent gastric bypass surgery in 2003 and has since lost 114 lbs. Possibly best known for her role as Carmen Ferrara on Popular, Sara Rue, in her younger days, was a heavier girl. Turn on the TV nowadays and you’ll see a new skinnier Sara who currently stars on Rules of Engagement. 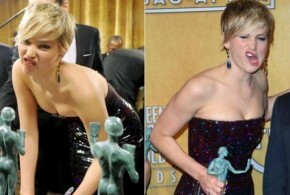 She has become a spokesperson for Jenny Craig, a program that she claims helped her lose more than 40 lbs.